Most of us make plans for important life events and situations — college, weddings, holidays and retirement. So why does planning for our current and future healthcare make us so uncomfortable? Having an advance care plan for healthcare is not only important, it is essential to ensure you receive medical treatment consistent with your goals and preferences, especially if you lose the ability to communicate. 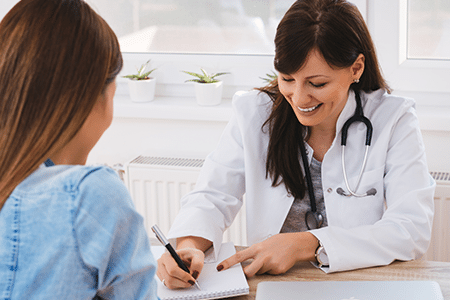 Advance Care Planning starts with a conversation with you, your family or healthcare agent, and your doctor or other healthcare professional. It is a gift to those you love, providing them with clear guidance on what care you want or do not want. Not having family close by, it’s good to know my wishes have been discussed and my surrogates, near and far, really understand and support me. The advance care planning meeting has had a calming effect on my daily life. I really feel like Haven cared for me during this process. What are the Benefits of Advance Care Planning? Provides the opportunity to discuss your values, beliefs and treatment preferences to make informed decisions. Improves understanding of your medical condition and available options. Clearly documents your choices for current and future medical care and treatment. Identifies a trusted spokesperson (surrogate) to communicate on your behalf and ensure your wishes are respected. Improves communication between all parties involved. Provides guidance in completing an advance directive (e.g. living will or healthcare surrogate), if desired. Ensures the treatment and care you want to receive in the future is honored. Provides peace of mind to you, your family, friends and healthcare providers. Sharing your personal values and beliefs. Exploring what you may or may not want in certain medical situations. Choosing someone to communicate your wishes if you are unable to. Writing down your wishes and sharing your plan. Reassessing your preferences and updating your plan periodically. Ask your doctor, nurse or healthcare provider to call Haven to schedule an Advance Care Planning (ACP) discussion. You will meet with an ACP Facilitator who will lead you through the process. Sessions are offered at no charge to you or your healthcare provider. Your healthcare goals, values and wishes will be documented in a format you can keep and share with others. For more information about Haven’s Advance Care Planning Program, call 877.379.6270 Monday to Friday, 8 a.m. – 5 p.m.